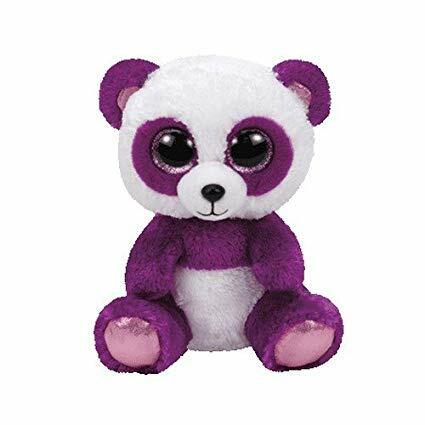 Boom Boom is a purple and white panda with large, glittery pink button eyes and a small black button nose with an embroidered smile. The inside of her ears and her paw pads are shiny and pink. I bang on the drum and make a big sound! Boom Boom was released on 1st July 2016. Her Birthday is on 4th June. There are two different versions of Boom Boom: This medium 9″ version and a smaller 6″ one.